Building a championship-caliber fantasy roster requires basic weekly waiver-wire management. We’ve created the Waiver Wire Cheat Sheet so that in a just a few minutes a week, our users can make the same expert waiver maneuvers we personally make in our own leagues, throughout the season. 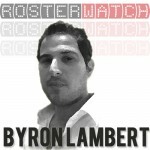 PODCAST —- PRO MEMBERS CAN FIND THE WAIVER WIRE PODCAST HERE IN THE PRO PODCAST DOWNLOADS SECTION. It usually will be up by Tuesday afternoon. Listen to the PRO podcast as a supplement to the sheet as you’re setting waiver claims for additional insight. Whether you play in a standard waiver-claim format, or in a free-agent bidding system – we’ve got you covered. Read the chart top to bottom, and use it like the Draft Cheat Sheet. 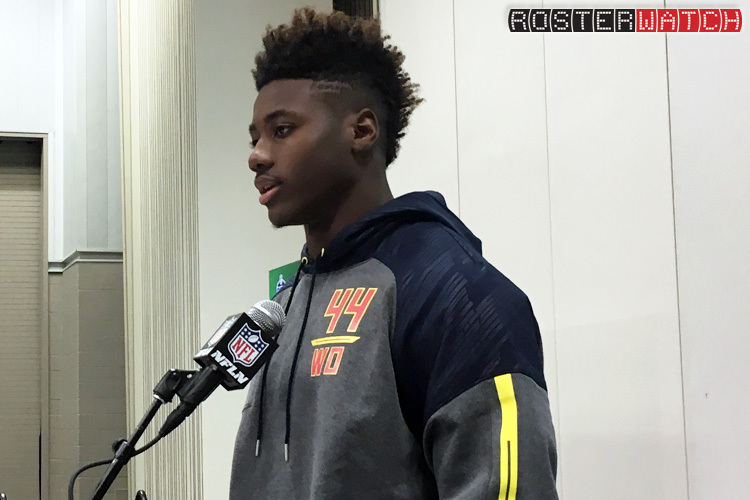 It’s not mandatory to go after the very top pick up every single week – use some basic discretion. Insane value can be cultivated through the bottom of the Waiver Wire Cheat Sheet over the course of the season. All players listed on the WWCS are currently on the waiver wire in at least 50% of fantasy leagues across all major formats. *Our advice is to recycle an average of 1-2 players per week from the bottom of your roster into hot waiver-wire pickups for the current week. This can be accomplished via waivers, or on the cheap as free-agent pickups post-waiver period . 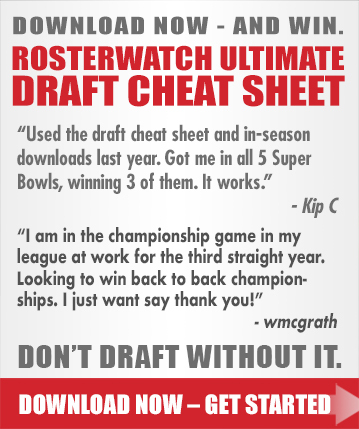 PRO members, click here to download the cheat sheet. Hi Guys! I have a nice roster but am just dying at the TE position. In a non-PPR, can you rank these ROS please? Standard Scoring. Rudolph, Graham, Herndon, Everett, Higbee, Arnold lol, Engram, Vannett. Or just which few you think are feasible rostering. Thank you so much! Higbee, Vannett and Arnold are not options. I’d go with Rudolph or Herndon. Maybe Rudolph for this week against the Pats as BB will try to shut down the star WR threeats which could open things up for him. Thank you Alex. You are the best! It’s do or die time in week 13 before playoffs! (1) Need a RB starter replacement for Fournette in PPR – if I win this week, squad makes playoffs! (2) Mike Williams, Marquise, Cobb, or Dede worth rostering over Ito? Man you know we can’t answer this until we get more injury news. Also need to run the matchup tool and the model. Mike Williams is coming on nicely and may be worth rostering over Ito given upcoming schedule especially if that’s a bench guy for you. I answered your questions in the other thread but you never mentioned Marvin Jones. Get him off your team he’s on IR. Pick up depth to hold in his place. You are not in desperate need now with Gordon out, your team is still in good shape so don’t do anything stupid. Would you drop Evan Engram for Jonnu Smith ? Close call if he’s a back up. Engram could be out a week or two. Hard to trust either offense. I’d prob keep Engram if he’s just a stash. Wow, that’s why we keep this up Erod! Hopefully we can help you being those 3 and then some! Win or go home. Playing a tough opponent. He’s got Mahomes, McCaffrey, L. Mcoy, Juju, D. Hopkins, K. Golladay. The rest aren’t worth mentioning because he won’t need anymore players to help him win with that kind of firepower. However, with some help from my RW pals, and some good old fashioned FFB luck I’ll eek one out. PPR full PT. Trouble deciding who to start. LMK if you agree or make a recommendation please especially at RB&WR. RB Mixon, Michele, Edwards HELP! TE Doyle on IR shooting for Ebron on waiver… alternatives?? How are Bruce Ellington and Matt LaCosse not on the cheat sheet this week? Both are slated for massively improved roles the rest of the way with Jones/Huereman both on IR.